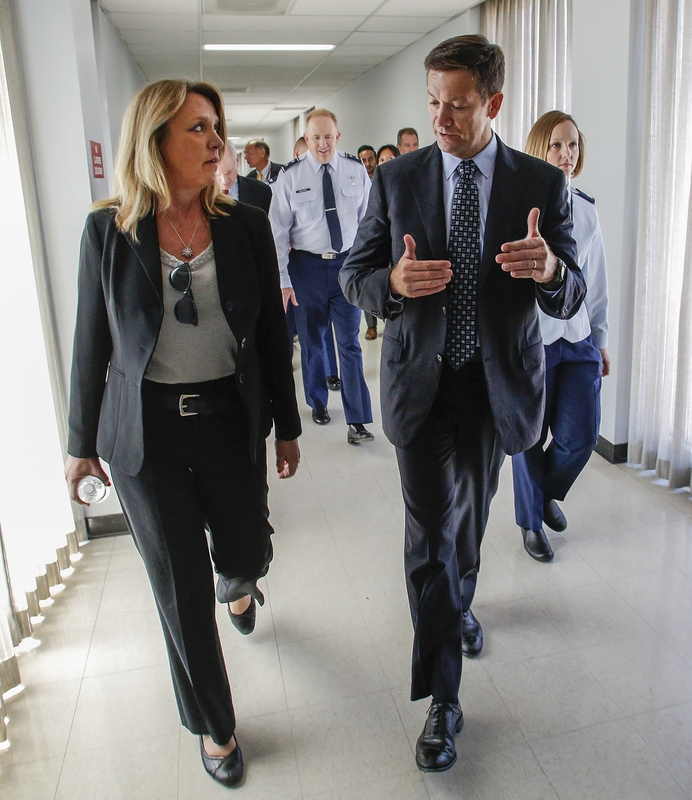 REDONDO BEACH, Calif. – Aug. 13, 2015 –Northrop Grumman Corporation (NYSE:NOC) hosted the Secretary of the Air Force, Deborah Lee James, and commander of the Air Force Space and Missile Systems Center, Lieutenant General Samuel Greaves, on an in-depth tour of the company's Space Park manufacturing capabilities and research and development facilities. 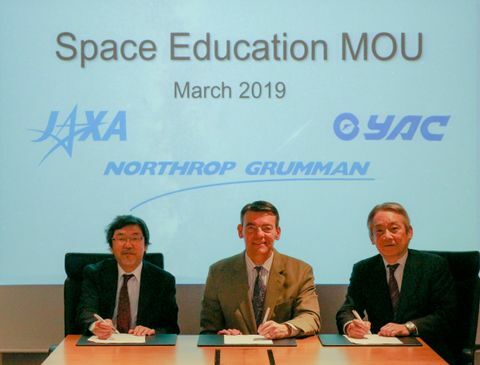 The secretary and Lt. Gen. Greaves were also briefed on Northrop Grumman's work to support key Air Force programs, including the Advanced Extremely High Frequency System (AEHF), Global Positioning System III (GPS III) and the Low Cost Terminal (LCT). On a tour hosted by Tom Vice, corporate vice president and president, Northrop Grumman Aerospace Systems, the company's unique approach to GPS III was highlighted. 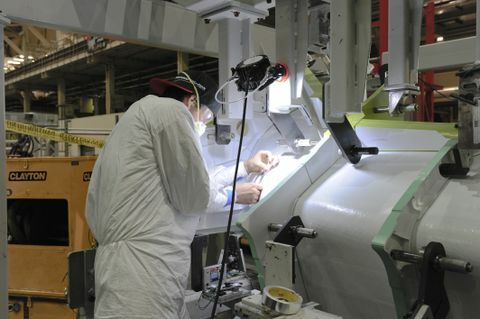 This approach would significantly reduce costs and increase the capabilities of the system, enabling the critical warfighter resilience envisioned when the program began. "Since the dawn of the Space Age, Northrop Grumman has been providing critical systems that provide our Nation with unparalleled advantages. Today we face significant new threats in many domains, including space. We are passionate and dedicated to providing our Nation with distributive new innovations that affordably and urgently address this rapidly changing threat environment," said Vice. "We value our partnership with the U.S. Air Force and today's visit by Secretary James and Lt. Gen. Greaves was an opportunity to talk about solutions that could help solve their toughest problems." The visit follows the recent successful critical design review of the information assurance elements for LCT, an initiative to develop an affordable terminal for protected extremely high frequency (EHF) communications by leveraging existing commercial technologies and designs to minimize costs. The terminal is designed to provide protected communications via the AEHF to highly mobile, tactical military forces at a cost significantly lower than currently fielded protected communication terminals.